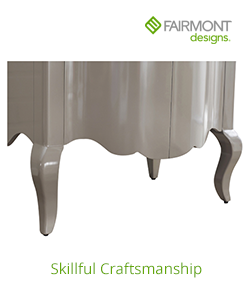 Questions about Fairmont Designs 143-V30? 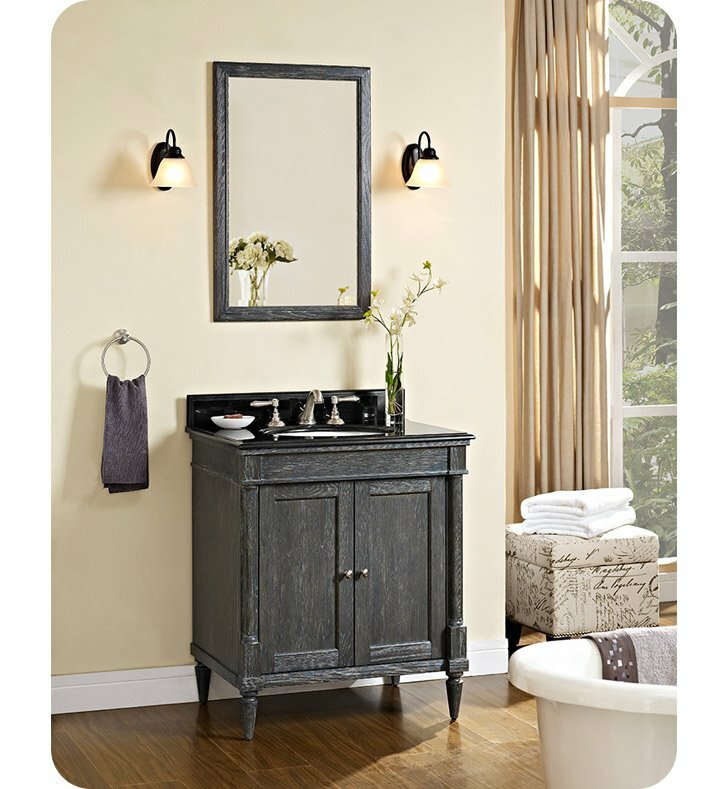 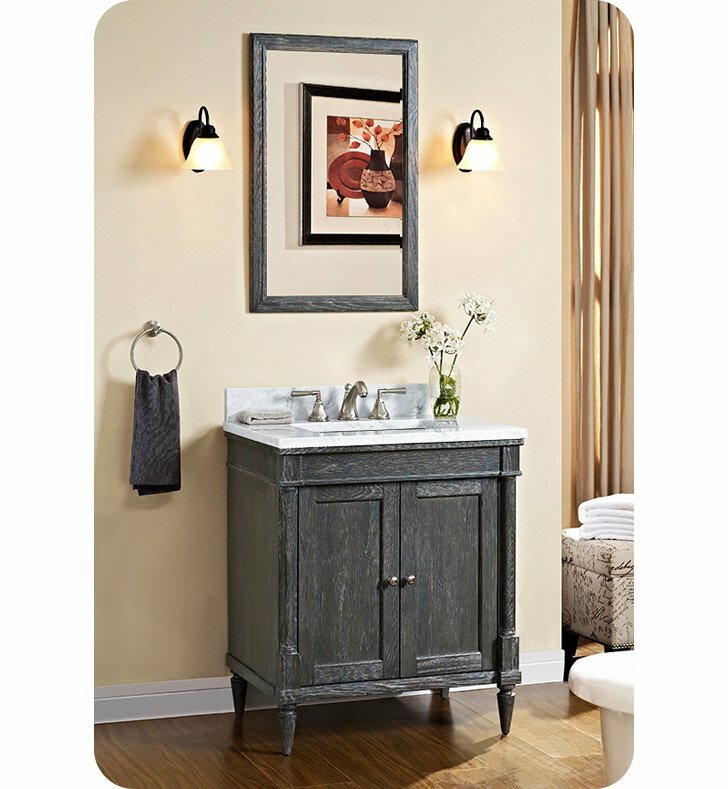 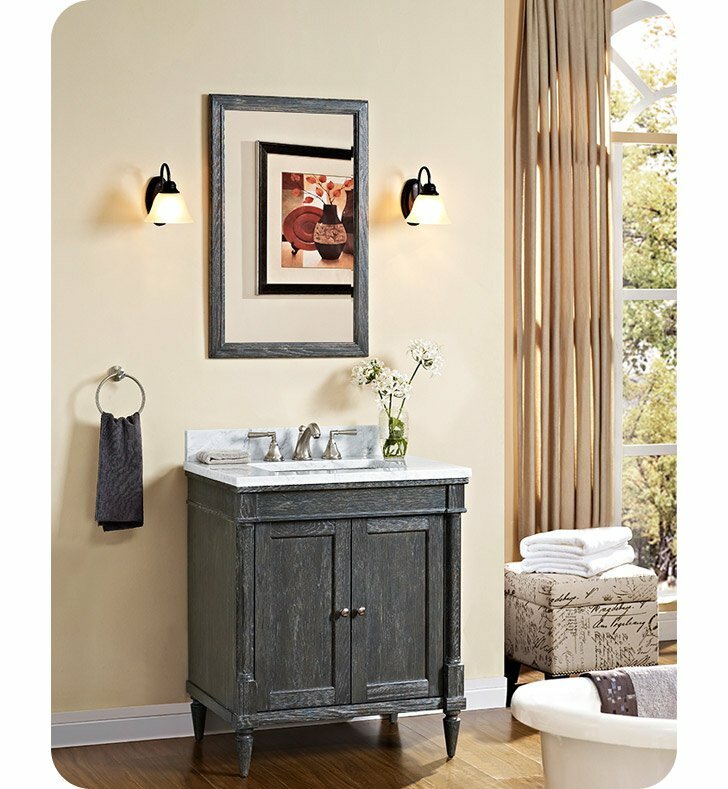 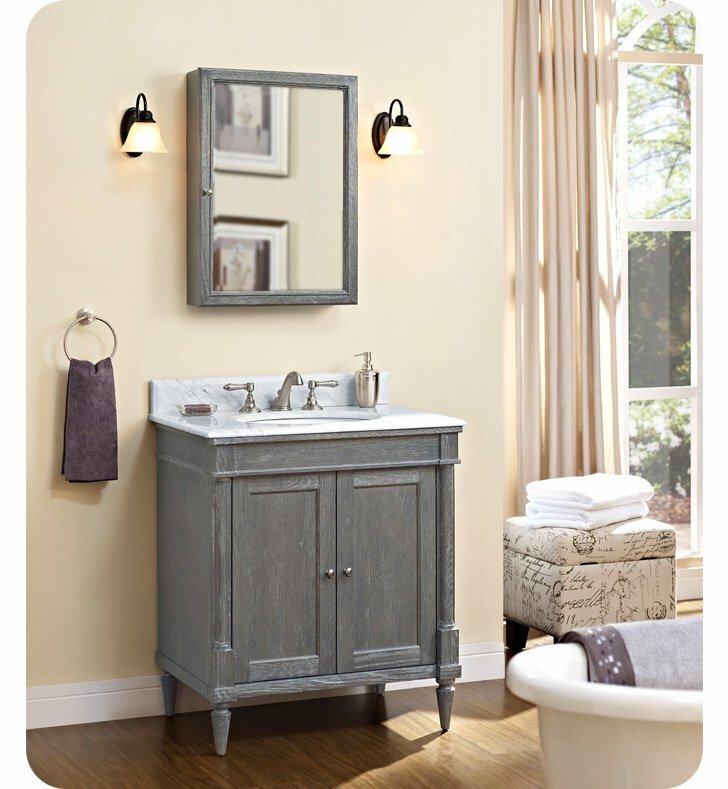 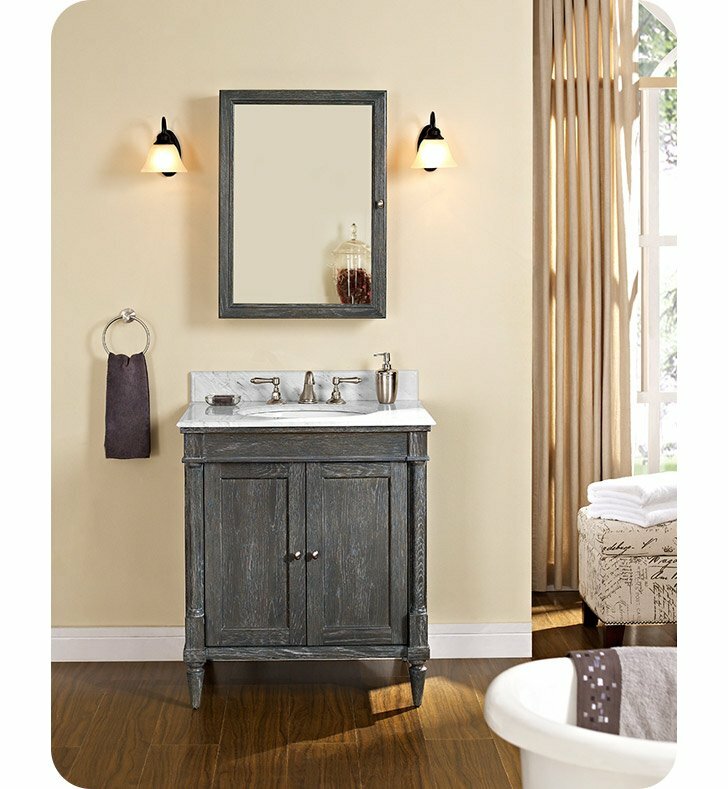 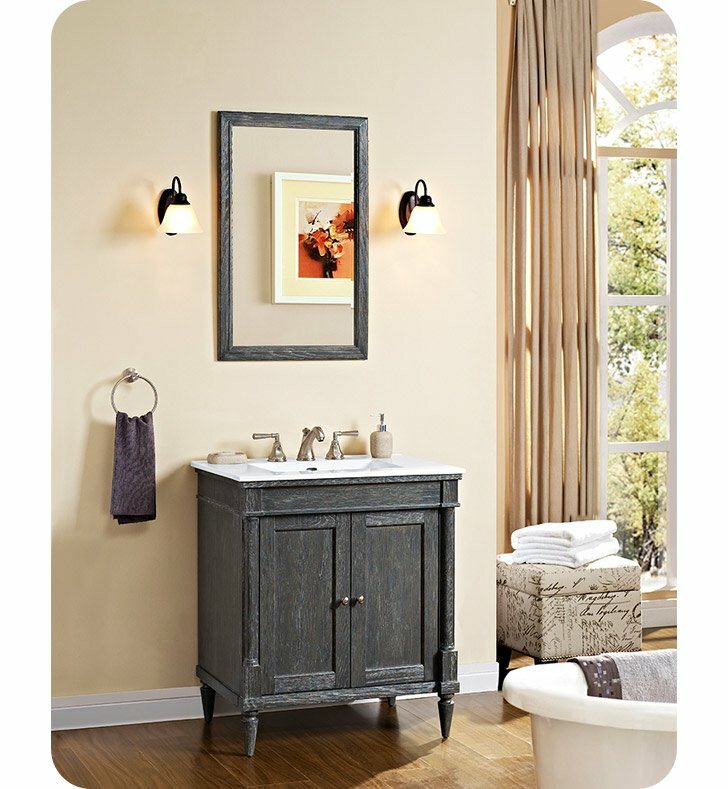 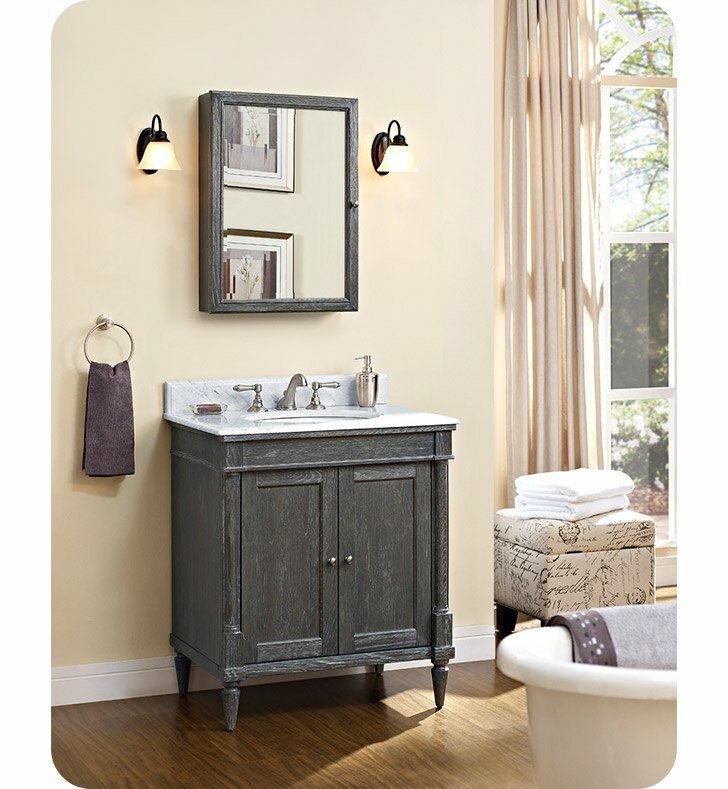 The Rustic Chic Free Standing Single Bathroom Vanity designed to flaunt the beauty of its wood, invites you to bring a touch of texture to your bath. 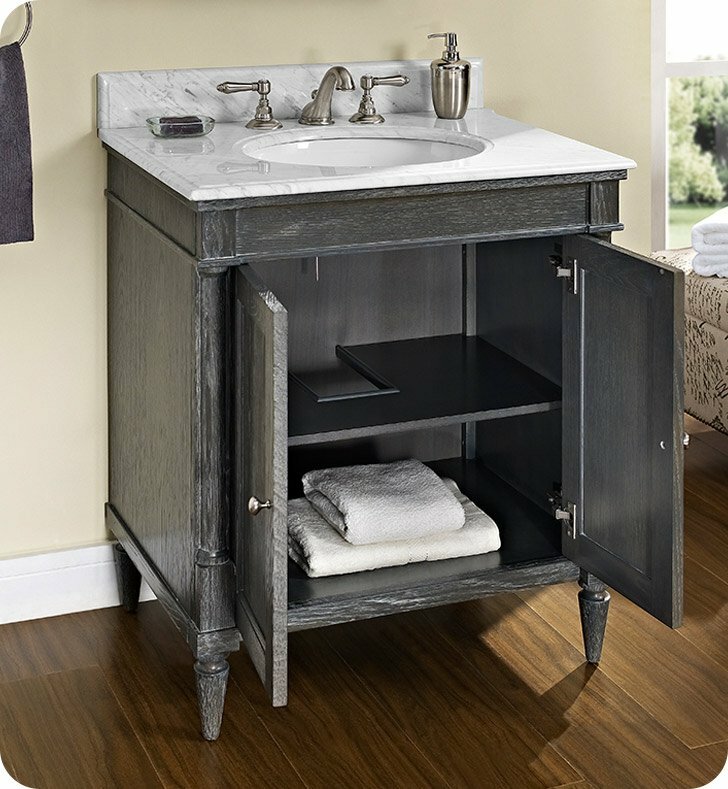 The earth-bound, organic look derives its appeal from clean lines and tactile Sliver Oak veneers, accented with subtle brass finished knobs. 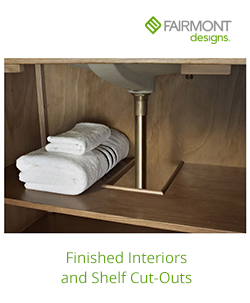 A variety of cabinet sizes and configurations allows you to customize your space naturally. 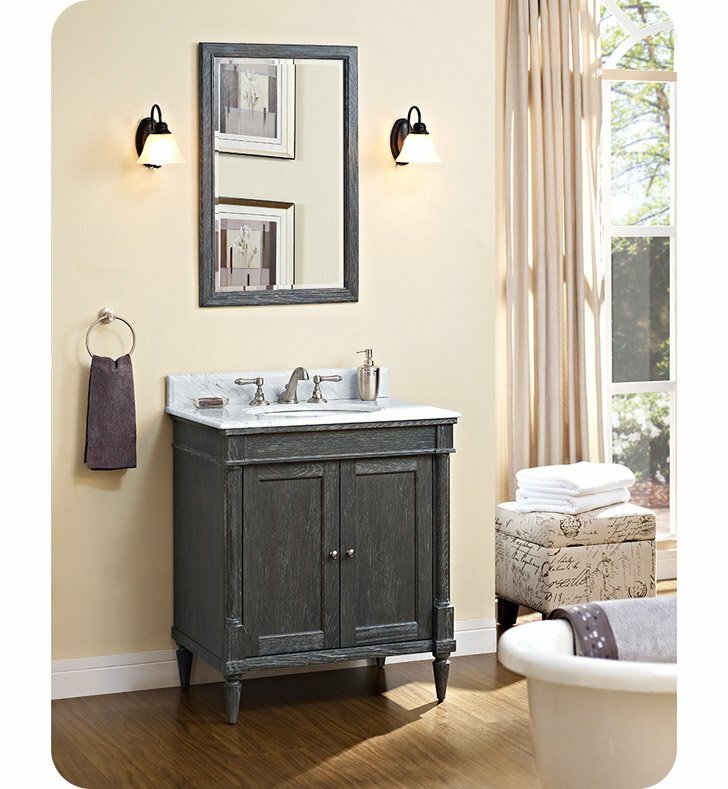 W 30" x D 21 1/2" x H 34 1/2"